After two years at the helm of Oakland’s Pop-Up General Store, Samin Nosrat announced she is shutting down at the end of the year. “Some people thought we’d keep going forever, but this narrative needed an ending,” she said. Over the months, her role evolved from head chef to curator. She culled a talented pool of food purveyors, many of whom would reach high levels of success outside the market. 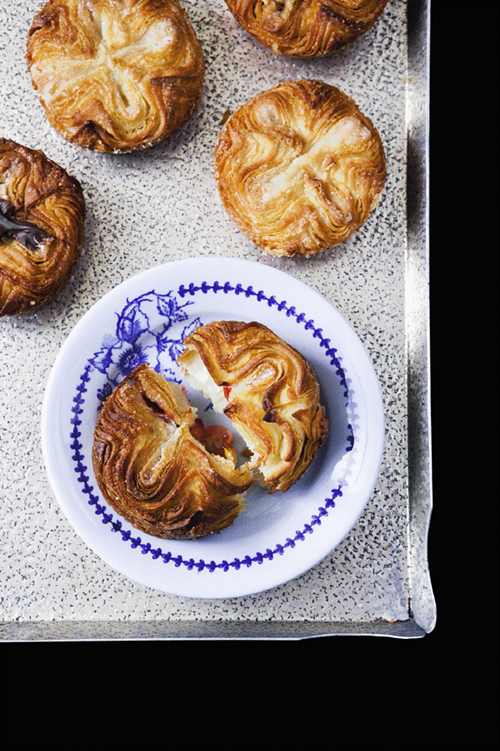 Starter Bakery’s impossibly rich cult favorite kouign amann (the Express’ Best Breakfast Pastry of 2011) was first sold at the Pop-Up General Store. Unlike, say, San Francisco’s Underground Farmer’s Market (which was shut down by the Board of Health earlier this year), the Pop-Up General Store always stayed within the letter of the law. Nosrat ensured that her vendors adhered to health codes and that sales tax was paid, plus she managed all the market’s other un-fun bureaucracy. And therein lies the problem: There’s nothing like paperwork and balancing books to sap someone’s passion. After a couple of years, Nosrat started to feel less like a curator and more like an office manager. Not to mention the pesky little issue of money. December 14 will be the last Pop-Up General Store. But never you fret: After it closes, Nosrat will keep herself busy. She just got back from an outreach trip to China with Alice Waters, author Amy Tan, filmmaker Joel Coen, and a handful of other glitterati. She runs an after-hours pop-up dinner at Tartine Bakery in San Francisco. And she’d like to do more of the teaching and writing she’s dabbled in since Eccolo closed.